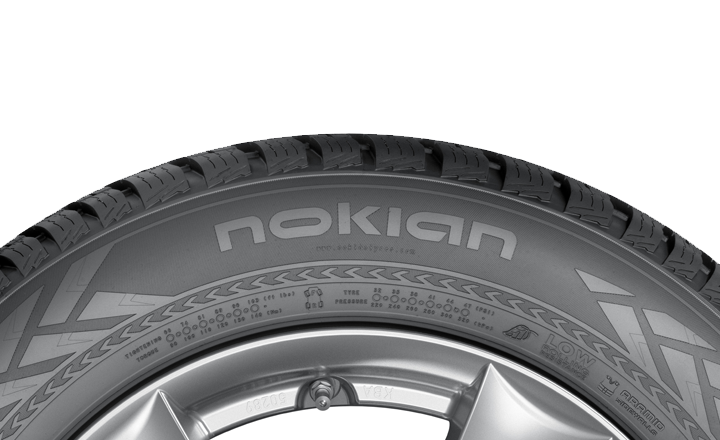 The location and pressure indicators on the Nokian Weatherproof SUV's sidewall info area improve winter safety and user comfort. The information area allows for recording the correct inflation pressure and installation location during tyre change. Safety is improved further by a new section that can be used to record the tightening torque of the wheel nuts for alloy wheels.